BSDC is affiliated to Hemwati Nandan Bahuguna Garhwal Central University.All courses running are recognized by State Government.it is one of the institute of B. S. Group of institutes, Roorkee. It has been established by” Roop Chand Sharma Education Trust” Roorkee. Bishamber Sahai Degree College BSDC, Roorkee offers various graduate courses as well as Post Graduate courses. 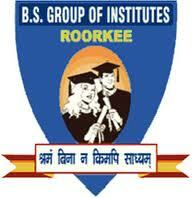 Bishamber Sahai Degree College BSDC, Roorkee is affiliated to Uttarakhand Technical University, Dehradun. List of facilities available at Bishamber Sahai Degree College BSDC, Roorkee for students.